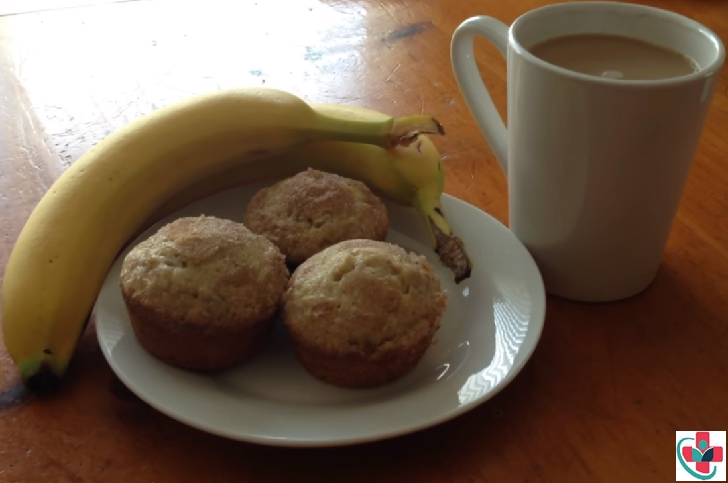 Banana cinnamon muffins are easy to make from scratch and filled with cinnamon flavor. Try the recipe for breakfast or a snack on the go! Preheat oven to 375° F. Place paper baking cups in 12 regular-size muffin cups. In a large bowl, mix ²/₃ cup sugar, oil, eggs, and vanilla with wire whisk. Stir in bananas. Add flour mixture and stir just until moistened. Divide batter evenly among muffin cups. Bake 17 to 21 minutes or until a toothpick inserted in center comes out clean. Immediately remove from pan to cooling rack.